All payments are to be made in cash. The position/location of tablet installation is strictly on a first-come-first-served basis. Applicant is not permitted to choose the position/location of tablets. 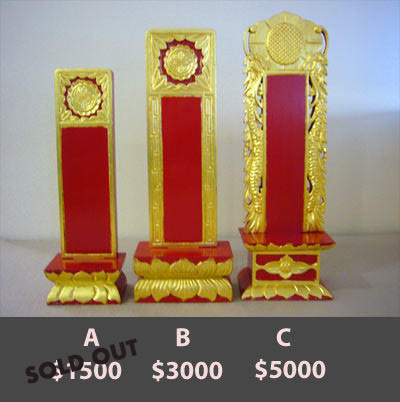 The temple reserves the right to adjust the production, installation and religious service fees without prior notice. THIAN HOCK KENG, A TEMPLE THAT ENCOMPASSES BUDDHISM, TAOISM, CONFUCIANISM AND ANCESTRAL WORSHIP, AND HER PLACE IN THE HEART OF HER DEVOTEES.